Transparent workplace for the new force in iron ore in Australia. impressed with their new workplace. As a result of this he engaged the team responsible, FutureSpace and DEGW to develop a strategy for the design of Fortescue’s head office in Perth. The fitout is a direct result of Fortescue’s values. Key drivers for the project were to maximise transparency, empower the team and provide an environment where ideas could be generated amongst an enthusiastic, determined culture. 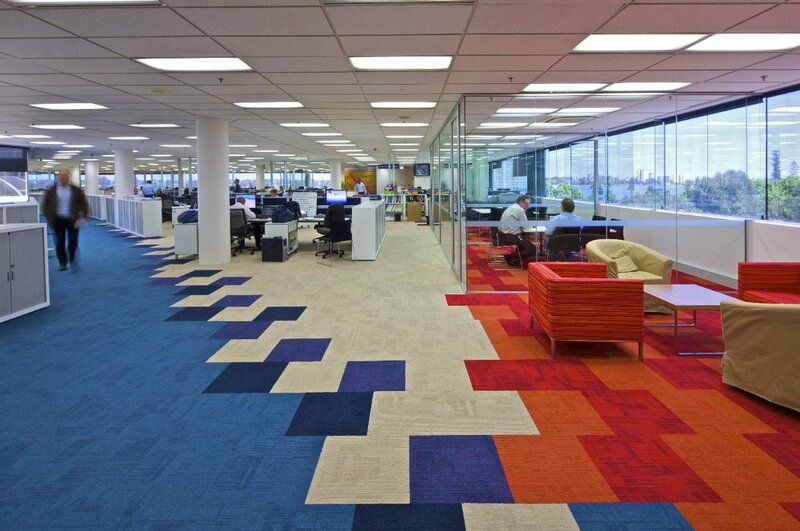 The fit-out takes advantage of the unique 6000 m2 floorplates, the largest in the Perth CBD. The entire floorplate is open plan with no enclosed offices and no solid partitions. Environmental graphics are used throughout (at low height in order to maximise transparency) and to support the communication of the ‘mine rail port’ process to the Fortescues and visitors. Fortescue are known as ‘the new force in iron ore’ and the design of the workplace has been another opportunity for the team to stand out from their competitors.